Affiliate marketing is an advertising model where companies (merchants) pays commissions to third-party publishers (affiliates) who generate leads or sales by featuring the company’s products and services on their websites or blogs. Affiliate marketing has been a proven business model since 1994, just four years after the origination of the internet. It is one of the only marketing channels and forms of commerce where no money is exchanged until mutually agreed-upon results are achieved. One can be either a merchant or affiliate with very little, if any, investment. It is relatively easy to begin. Merchants and Affiliates sign up at reputable affiliate marketing sites such as Commission Junction (CJ), Clickbank, Ratkuten, PeerFly, ShareASale, Wide Markets and Amazon Associates to name some of the top sites. After completing the sign up process, code or text links are provided for the merchant and affiliates to put on their websites identifying any actions that come from their relationship. Is it worth it? Here are 22 affiliate marketing cold, hard yet amazing facts. 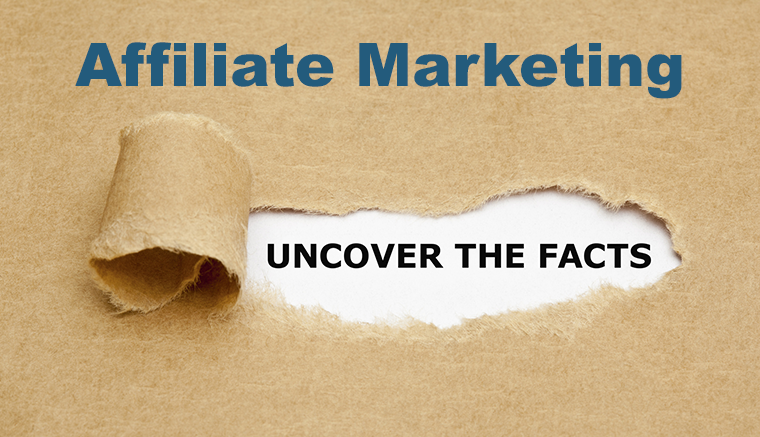 90% of traffic and conversions to affiliate merchants’ programs are driven by 10% of affiliates. Over 80% of brands have affiliate programs. 78% of CMOs admit affiliate marketing is their least mastered area of digital marketing. 67% of affiliates come from North America (US and Canada). Nearly 50% of affiliate related traffic originates from a mobile device. 55.5% of affiliates work from home. 48% of affiliates make under $20,000 a year; 20% make $20,000-$50,000 a year; 6% make $50,000-$100,000 a year; 6% make $100,000-$150,000 a year and 3% make $150,000+ a year. 40% of marketers say affiliate marketing is their most desired digital marketing skill. 38% of marketers call affiliate marketing one of their top customer acquisition methods. More than 30% of affiliate-related sales originate from a mobile device. 16.6% annual growth is expected through 2021. 15% to 30% of all online sales are generated by affiliate programs. 10% to 15% conversion rate for pay-per-call affiliate campaigns vs 2% to 3% for online affiliate campaigns. 10% of Amazon’s sales are estimated to come from affiliates. 7.5% of total digital spend for retailers goes to affiliate marketing. $5 billion in revenue was generated last year in the US by affiliate marketing. 600 million products are promoted online by affiliate programs. Over 2,000,000 affiliates were on Amazon as early as 2008. 1,000,000+ affiliate accounts are registered on ShareASale. Do these facts convince you affiliate marketing is worth it? Is your business interested?